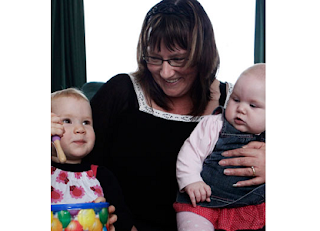 Donna McKinder was a few weeks shy of her 40th birthday when she had her first daughter, Kat, now 21 months, and 41 when she had her second daughter, Emma, now 5 1/2 months. Mrs McKinder said that both her girls were naturally conceived, but she had considered in vitro fertilisation. "I had a couple of miscarriages before I got pregnant with Kate. I had an appointment [for IVF] in January and I found out I was pregnant in December."